Making our Traffic Boxes Beautiful! 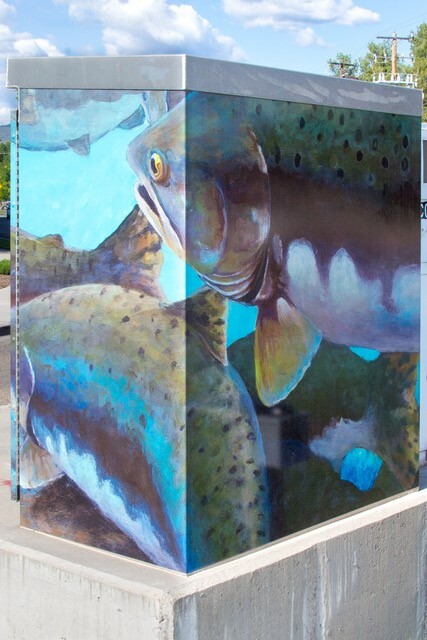 The art work on the traffic boxes was chosen from an Art Viewing that was held at the Library. Three of EENA’s board members went to the viewing to vote on the art work that was displayed. 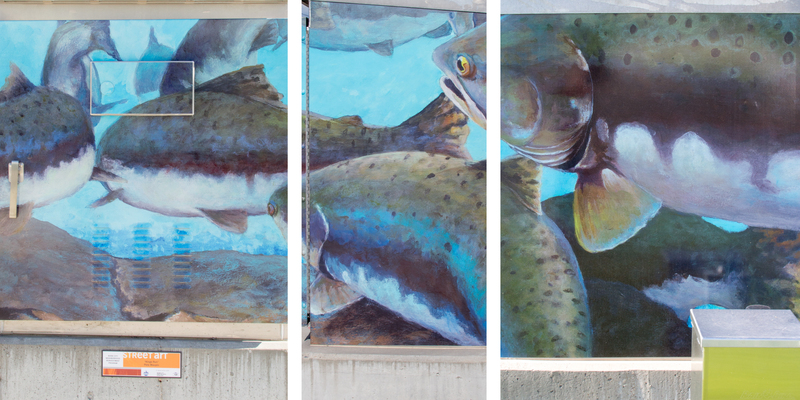 The final selection was done by the City of Boise’s Art Manager. 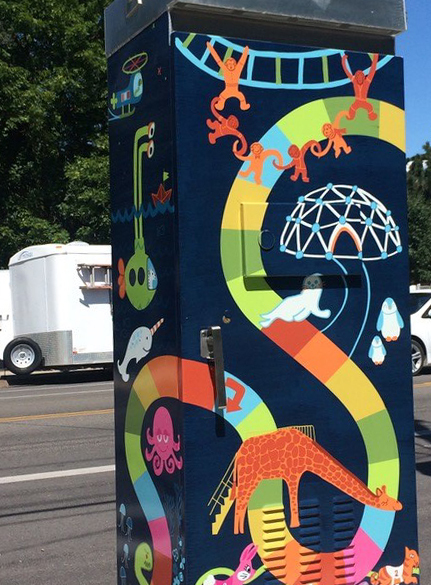 The box in front of Adams Elementary was done by Brandalyn Athons who wanted the art to be whimsical for the children to look at. The Park Center box was done by Peter Mapin.